I have good news: Anyone can attend the Starz Denver Film Festival. You don’t have to be fancy, you don’t have to be a member of any sort, you don’t have to spend a bunch of money on a pass, you don’t even have to be a self-identified film snob – you can simply show up, buy a ticket, and watch a great film. The 2014 Starz Denver Film Festival runs for 12 days, beginning Wednesday, November 12th and ending on the eve of Sunday, November 23rd, 2014. Over 250 films, from all over the world, will be presented at the fest. The majority of the films are presented at either the SIE FilmCenter (full bar at this location) or the UA Denver Pavilions, with red carpet events held at the Buell Theatre (full bar at this location). All regularly priced tickets are $11 for Denver Film Society (DFS) members, $12 for students/senior/military, and $14 for non-members. DFS membership starts as low as $25 for students. There are five red carpet films this year, including 5 to 7; Touch the Wall; The Imitation Game; Like Sunday, Like Rain; and Keep On Keepin’ On. There are 10 special presentations this year, including Foxcatcher; Wild; ’71; Clouds of Sils Maria; Little Accidents; The Look of Silence; Red Army; Seymour: An Introduction; Two Days, One Night; and WildLike. If a particular film is sold out, there may be a limited number of rush tickets available before the screening for $15. Lines begin at the venue box office one hour prior to the screening time; rush tickets are cash only. If a film has been nominated for a festival award, audience members will have the opportunity to score the film after they watch it. All award winners will then be shown during the last weekend of the festival, so be sure to keep an eye out for this opportunity to watch the best of the best! Red Carpet Package – This package is appropriate for those who want to be guaranteed three solid movies and who want to partake in a bit of the glitz and glamour of the festival. This year’s red carpet picks include 5 to 7, Touch the Wall, and The Imitation Game and take place at the Buell Theatre. Red Carpet Packages run $57 – $72. VIP Opening Night Package – This package is aimed at those individuals who want to go big on opening night. This option includes dinner at any Larimer Square restaurant, free parking, the opening night screening of 5 to 7 at the Buell Theatre, and an opening night after-party at the historic McNichols Civic Center Building (read free food, free drinks and free eye candy). This is also your excuse to wear that fancy dress that has been collecting dust in the back of your closet. VIP Opening Night Packages run $99 – $109. Living Social Voucher – This awesome deal gets you two film tickets, a bottle of wine, and a large popcorn – score! Only $39, but it’s a limited time offer, so don’t wait! Individual Tickets – Not sure how much you want to partake in the fest? There is always the option to buy individual tickets for any films that may look intriguing. Not sure what to watch? 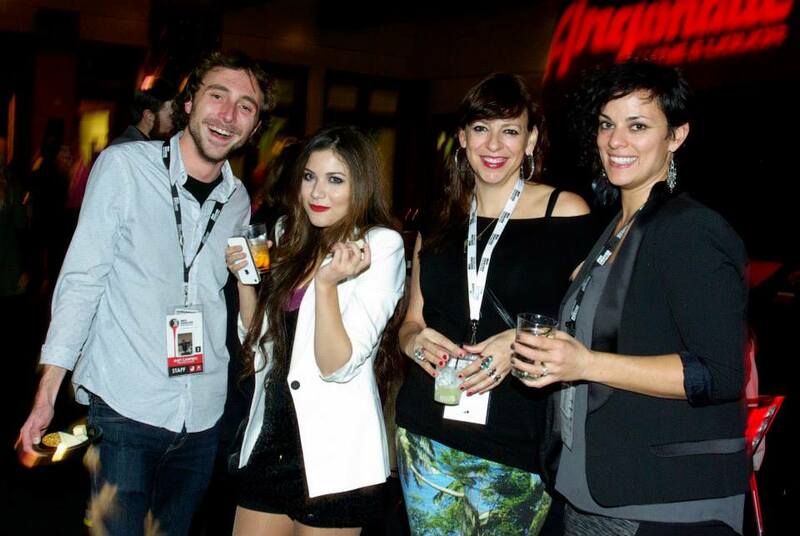 Stay tuned for future blog posts from Starz Denver Film Festival insiders and refer to the tips below. Individual ticket prices run $11 – $14. If you are feeling more adventurous, simply pick a movie that sounds good without doing any other research. There are a number of special interest tracks, including CinemaQ, Spotlight on Colorado, Environment in Focus, and Women + Film. These tracks can help further guide you to something you might be interested in. This year’s country in focus is Brazil. Explore the offerings in this track to learn more about this diverse and colorful culture. Want more information? Like the Starz Denver Film Festival on Facebook to stay up-to-date on all festival happenings.